The great, virtuoso mezzo-soprano Marilyn Horne first made a major international impact in opera when Igor Stravinsky invited her to perform at the Venice Festival in 1956. 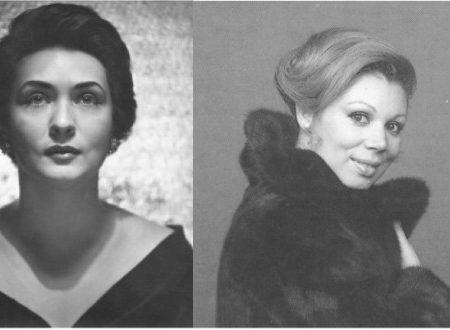 Despite this she insisted on spending three further years advancing her technique and widening her stylistic knowledge in the German repertory opera company of Gelsenkirchen, a sure sign of her search both for the meticulous technical perfectionism and exceptionally broad stylistic mastery that were to win her such great acclaim when, from the early 1960s, she became famous for her vocal virtuosity and artistic power in an extraordinary diversity of music. Her huge dramatic and expressive range encompassed repertoire from the 17th to the late 20th Centuries with an outstanding mastery of Italian, German, French, Russian and English language works composed by, for instance, Monteverdi, Handel, Gluck, Mozart, Bellini, Rossini, Donizetti, Verdi, Puccini, Wagner, Bizet, Massenet, Strauss, Mahler, Berg, Stravinsky, Bernstein, Bolcom and Corigliano, to name just a few. A commanding virtuoso as much in bel canto coloratura as in the heaviest Wagner parts, the fruits of Marilyn Horne’s remarkably broad scale achievements are now passed on to the finest young vocal students through the educational operations of her Foundation and her international master-classes, teaching and adjudicating, all of with which she is passionately motivated in her aspirations for the preservation of vocal awareness and the future of song and opera. It was while she was adjudicating at the Cardiff Singer of the World Competition in 2004 that she recorded the conversation that is reproduced here. It was first issued as a bonus audio track that VAI put out in its DVD Marilyn Horne in Concert (VAI DVD 4401). In it Marilyn Horne recalls her life and career from her early days right up to the time of the interview and she includes discussion of technical and artistic issues in singing as well as details of many of her stage roles.